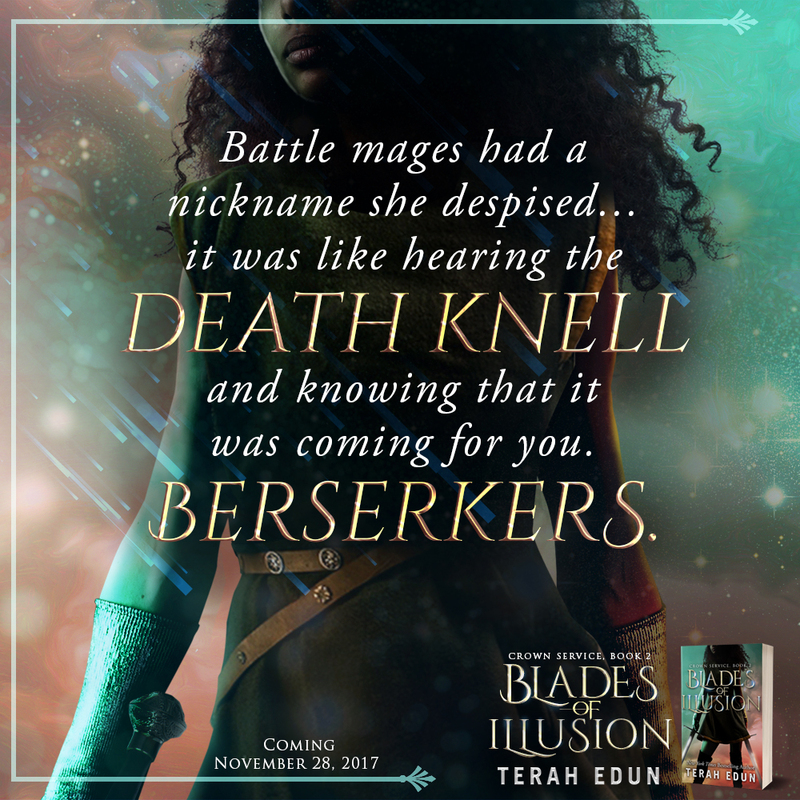 Ahead of the release Blades Of Illusion: Crown Service #2, I’m sharing with you the first two chapters! 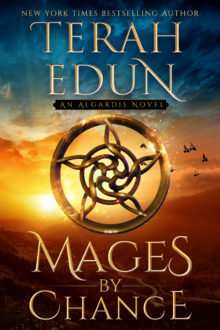 Some of my first readers have had a crack at it and I thought it was time that you got a sneak peek into the newest book in my Algardis Universe! Please keep in mind that this has not been copy edited, but I hope you enjoy and look forward to the full read! On a personal note, as I switch back to the Crown Service series I do so with intense excitement. There are going to be some surprises in store that you wouldn’t believe! But Sara Fairchild is up for everything as a masterful heroine who doesn’t back down from any challenge – physical or emotional. =) Lastly, this has been a fun and complete re-write of the 2nd book which was released on Amazon-only in 2014. As a reader I hope you’ll enjoy this new take on Sara Fairchild’s adventures and as I finish up the second book in the Crown Service series, I hope you’re ready to go on this journey with me! 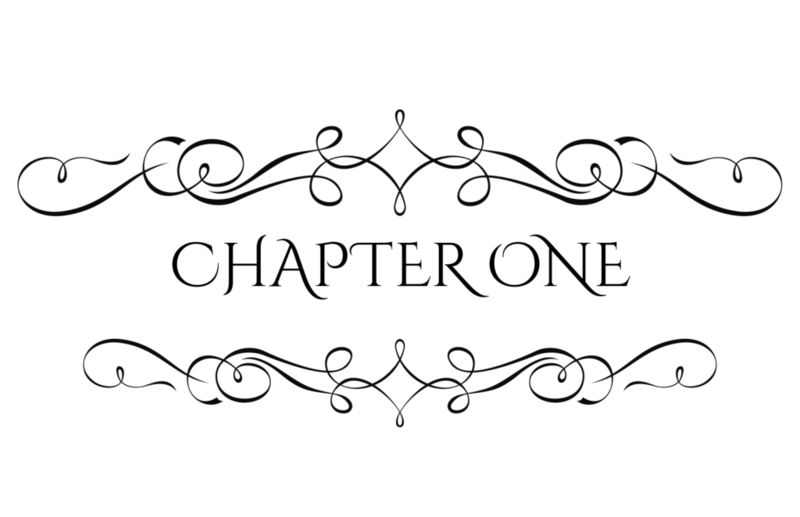 Here’s a taste of what’s in store for you with the first two chapters of the new Blades Of Illusion: Crown Service #2. As Sara Fairchild cautiously made her way through the portal doorway in front of her, the victorious shouts of the First Division members behind her did nothing to comfort her. She was stiff with anger and furious at their betrayal. Captain Simon Barthis and his mercenaries had proven just moments before that they were everything she had despised as a child — ruthless, uncaring, and most of all — disloyal. They had not only left their comrades, men and women behind, but had actually knowingly engineered a strategy which all but guaranteed the massacre of hundreds of fellow mercenaries in their ranks. Faces and names flashed before her eyes like ghosts arisen. She couldn’t speak to their betrayals now, but she certainly would when the time was right. As Sara stared at the living mercenaries who followed her through the summoned portal with jovial claps on each other’s back and jokes as some took the time to poke and prod at their esteemed prisoner, she just grew angrier. Not at their treatment of Nissa, the sun mage, but at the studied nonchalance of a group which had just committed the worse crime one could commit in a warrior’s eyes. They had turned tail and ran. Now here they stood laughing and Sara could only see red — the red of anger overcoming every emotion and the fury of the battle mage taking its place. “Don’t let them bait you Sara,” she heard Ezekiel say from a far off distance. Trying to listen to the scholarly man beside her, as he was her voice of reason. 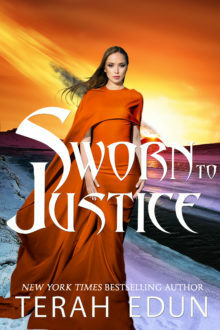 She needed to hold back the righteous anger of the Fairchild family that was rising in her like molten fire if she wanted any chance of finding out the reason her father was executed. But that anger was eager. Eager to burn and consume anyone in her path. Turning away from the celebrating factions, Sara rolled the coiled muscles in her shoulders carefully. Trying to ease up. Let the tension drain out as her mother had taught her. Anna Beth Fairchild had meant for Sara to learn to use the tactic as a way to regain inner peace, but Sara’s father had taught her that peace was just another word for tranquility. The inner stillness in a warrior’s heart before they struck. “And I’m ready,” she said with a fierce grin. Sara didn’t bother acknowledging his words. They were true. But she didn’t need back-up. She never had and if she was being honest — she wouldn’t consider Ezekiel Crane someone to fight by her side even if she had. “That was before,” she snapped. Ezekiel moved to stand in her line of vision. Not in her way but certainly not where he could be ignored either. She didn’t really care. She could knock Ezekiel out and keep moving the second she needed to. “Before?” the scholar asked quietly while opening and closing his hands nervously. He probably could tell from her face that she was very close to making a decision. “Before I knew what the captain had done,” she continued in a quieter tone. As they argued, she even tried to rationalize to herself what the captain had ordered done as a practical application in the face overwhelming odds. But as she stared around at more joking faces, nothing about this struck her as tactical. Besides she could see a dozen different scenarios that a proper commander could have implemented to save lives. Standing here surrounded by traitorous mercenaries, Sara was taken back to the visual of the ones who had killed her mother and set her world on fire. Oh, they’d been from a different company — the Red Lion guard but mercenaries were all the same. Now the members of the First Division, the very same division she had been so unwillingly been elevated to, brushed her aside as they moved to slap each other on the shoulders in congratulations and relieved laughter. But she couldn’t understand how they now held their heads high as they more-and-more division members joined them as they walked through the summoned portal beside and behind her. It was like being surrounded by a sea of wolves. And Sara Fairchild knew just what to do with wolves. You culled them before they could become a threat to the herd, in this case the rest of Her Imperial Majesty’s troops. Because whatever else she was. Disgraced as she was. Sara was still honor bound to upload her imperial charter. Matter decided Sara’s lip curled into a contemptuous sneer as her hands itched by her side. She had only one of two weapons remaining — her childhood sword — but that was all she needed to start lopping off heads until the ground at her feet was littered with the round remains. It would be fitting end to their cowardice after all. This was no way to honor their dead and she knew that she had been right as a child, mercenaries were the dirt beneath a true soldier of Algardis’s feet. She wanted to act. Her blood and her father’s dead voice was urging her to do right by the individuals she had served with. The ones who didn’t come through the portal with them. It didn’t matter that she had only done so reluctantly. It also didn’t matter that she’d only been marching and riding with them for a few weeks at most. Sara Fairchild knew that she had hated the majority of the mercenaries on sight as well. It wasn’t personal. It was just professional preference. She was an elite fighter born and bred, and they were the dregs of the martial society in which she’d grown up in. Sara froze. Not out of fear. But out of the body-aching restraint it took to not slice his hand clean off at the wrist…just for touching her. Instead she did what any good girl would do. Giving no warning, she ducked down and kicked out with swift force. Taking him off his feet with surprise, Sara didn’t stop there. She used her right hand to push herself back up off the ground and lunged for his neck. Wrapping her hands around his grungy flesh was the most satisfying she’d done since she’d been delivered so unceremoniously to the fields of war. Even caught off surprise, she could sense his battle instincts kicking in. Too bad, they didn’t come close to hers. He was reaching for his weapons at his waist, but Sara already had her thumbs at the pulse points of his neck and was cutting off the circulation. The oxygen he needed to think, to speak, to act even was being deprived from his desperate brain. Joy surged in her heart as she pressed harder. She had him just where she wanted him and she felt his flopping limbs, protesting her grip with ineffectual slaps, grow weaker as he went limp. She took no joy in slow killings. Only in necessary ones. But still, this one would feel good. She could tell. “Release him,” came the command from behind her. Sara stilled. She didn’t break her hold but she didn’t twist and snap his neck like she’d prefer either. She had been trained to respond to authority and whether she liked it or not, she was a member of this derelict band of mercenaries. At least for now. So with a sigh of disgust, Sara stepped back and released him with look of warning. He could get up and she would end him. Or he could stay down and live. Her opponent chose to live. He fell back into the mud, spluttering and coughing while she looked around defiantly waiting for one of his fellow mercenaries to come forward and take her on in his place. She wanted a fight. And having these mercenaries, all of whom were supposed to be tough as nails, just stand around with fingers up their asses was doing nothing for her curdling blood. She wanted to punched faces and break bones. She couldn’t do that if they weren’t willing to step forward on the killing grounds first. That at least got some of their attentions. A woman with the braids of the Mung people threaded prettily in her hair stepped forward with narrowed eyes and a firm grip on the baton she carried at her waist. Sara was quite aware of her peoples’ traditions and she knew this one would honor her forefathers every night beside the fire she built at camp. Sara smiled and opened her mouth but she didn’t get a chance to utter a third challenge. Instead the portal behind them all flashed in warning, indicating imminent closure, and the last of the Corcoran Guard stepped through. As one the mercenaries turned and saluted with sharp military precision. Sara didn’t bother doing the same. Instead she strode forward as the Captain came amidst them and began conversing with several of his top lieutenants — pointing all the while with animation at something in the distance. Sara assumed he was gesturing towards the Empress’s encampment and giving instructions for their deployment but she didn’t bother listening to what he said. As she walked forward the Captain turned to them all and smiled. Several of his mercenaries raised their fists in salute and some shifted towards her ominously, as they remembered what they’d been about to do before their leader walked through the portal. Sara paid them no mind, because now that the person responsible for those atrocities was here, her focus wasn’t on a fight with them. As she drew closer, discontent and rumbles grew. Mercenaries who might stand by as she disrespected them, but not their captain. But it was the captain who held up a warning hand to the mercenaries who’d put hands to weapons. Stilling as they followed his lead, he just looked at her with a hard gaze. He couldn’t know what she intended to do as she walked forward but the violence anticipated by his mercenaries had them all on edge. So when she acted — the cold swift silence that swept across the field was brutal. Sara gathered up a big ball of spit between her lips and then with the deadly accuracy of a person who could aim just as well with the natural weapons of her body as she could with the metal weapons normally in her hands, she spat directly in Simon’s face. He didn’t blink or jerk away. Instead the spit slid down his face glistening wet like a badge of honor. For a moment silence wrapped around them all and she waited for his reaction. Instead the captain of the Corcoran Guard, like the puss-filled coward he was, simply reached into his pocket and pulled out a clean white handkerchief. Snapping it open with a contemplative look at her while never taking his eyes from her fury-laced gaze, he wiped the spittle from his cheek. Then he stepped forward and leaned in to whisper coldly into Sara’s ear. “You’re a little a hellcat, aren’t you?” the captain of the Corcoran Guard asked her quietly. Sara Fairchild stiffened. There was no way he didn’t know who her father was — not after that remark anyway. It sometimes felt like everyone she met did. But she couldn’t pull out a weapon against him without provocation. Not here, not now. He raised a curious eyebrow. “Please, Sir,” Sara spit out in a tone which indicated she was being forced to add in the polite entendre…if only for their audience’s sake. He was the Captain after all. Maybe he even had some remorse for what he’d done. Though no explanation could ever come close absolving what he had facilitated in her eyes. There was no remorse to be had. Not from him and not for him. Sara felt her ears burn at the casual dismissal of everything her father had worked so hard to teach her. It didn’t help that the mercenaries surrounding them were hearing every word. Listening. Perhaps even judging. They already thought she was a spoiled warrior caste kid, she didn’t need to give them any reason to assume they were right about those assumptions. She felt her back crawl with the stares but she didn’t turn and look them in the eyes. Her attention was solely on her captain, as his was on her. It remained to be seen if each was intensely focused on the other so both could see the twitch of a muscle before the other chose to strike. Taking in a swift calculating breath, Sara decided to give him one more chance. One more chance to be the man that a leader was supposed to be. Barthis’s gaze, if possible, grew even more distant. “And if I don’t?” she asked in a firm tone. “Then you’ll make this a battle you can’t win. You forget that I, like you, am a battle mage. But I have decades more experience under my belt and if my swords leave their sheaths only one person’s head will roll, ” he said softly — so low that she was certain he didn’t mean for the others to hear. Sara wasn’t so sure about that, but she knew he was right. Mage to mage, they were equal. So it would come down to technique and prowess and with his time on the battlefield, there was no certainty she could come out ahead, let alone victorious. Barthis didn’t give her any more time to think that over though. “Fall back mercenary, I don’t fight girls who could learn to do better before they make the same mistakes their fathers made,” he barked in a voice that was meant to carry over many heads. That had been a direct order. He wasn’t challenging her. He was demeaning her. And according to the rules of engagement, there wasn’t a damned thing she could do about it. They weren’t standing in a dark alley in Sandrin after all. She stood on the field of battle before her commanding officer. A man she now officially despised more than ever but still served under. Taking stock of the situation Sara let another moment pass, deciding what to do. How to respond. “Sara!” hissed a voice she was well aware belonged to Ezekiel Crane. She ignored him. As did the captain. Her entire focus was on the man before her. Peripherally she was aware of all the mercenaries surrounding them, tense and anxious — if just to see what their captain made of this upstart. They, as well as she, were assessing Barthis’s actions. They wanted to see what to make of the man who was leading them. Maybe they even had their own doubts, hidden deep, about him. “If only these idiots had a spine,” Sara said grimly. “Not a chance. Just…self-aware. You brought me my sun mage after all. I can forgive a lot for that. But there’s only so much forgiveness you’ll get,” he said while ending in a tight voice. He was feeling out her reticence and her willingness to back down. Sara knew that was what he was doing because she had studied and been studying his moves since she’d met him weeks ago. He was a fighter that was true, but he was even more consummate tactician — on and off the battlefield. She’d come to the conclusion that he was dangerous. But so was she. What she didn’t have was the dark streak of manipulation that she saw running through his core every time she tapped into her gifts. It was the positive side of battle magic — being given the ability to see a person’s intent and divine their true self with it. It was like opening a window to a person’s soul every time she used it. She had sensed murkiness in his aura ever since she’d first met him in the fighting yards of the Mercenary’s Guild. But by the same token, she couldn’t assess everything there was to know about him instantly. Not without making herself vulnerable to his own intrusions as well. Battle mages had natural enemies on the fighting fields, but for the most part their deadliest singular adversaries were each other. They could all divine intent and they could all enhance their abilities both magically and physically on the battlefield. What differentiated one from the other was their training and their emotional health. Many battle mages didn’t even live to Sara’s age because the people who surrounded them didn’t realize what it was they had in their midst to it was too late. Too late to help them, too late to guide them. That hadn’t happened with Sara Fairchild because she had been born into a family of legendary battle mages. It also hadn’t happened to Simon Barthis because someone somewhere had recognized who and what he was from an early age. Not as she stared at him with hard, contemptuous eyes Sara couldn’t let herself to allow hate to cloud a genuine assessment of the man. Personal feelings had no place in a fight, it would only get in the way of her necessary actions. So now she studied and catalogued him for who he was. Scum beneath her feet but devious scum, one she would have to watch her back with. Not as bad as a certain fishery owner, but worse that Sara wanted in the captain she served — reluctantly or not. She knew that as clearly as she’d seen into the mindset of Cormar, owner of one fishery and a warehouse with more illegal artifacts than sense. That particular man would have killed her as soon as look at her if she stole from him, and she had the feeling that she and Ezekiel still hadn’t seen the last of him thanks to a weapon the scholar had purloined from his warehouse. As Sara stared down Simon though, she sensed that he didn’t want to kill her. Not yet anyway. Which didn’t meant she trusted him either as her hand hovered over but not on the handle of the weapon at her waist. She wasn’t a fool. She was surrounded by trained mercenaries in too tight of a formation. She wouldn’t even be able to unsheathe her sword and get off more than a few cuts before they quickly converged. But her knife, well that was another matter. Apparently her hesitance to fall back and her growing confidence in her ability to hold her own in a fight irked the captain. She saw it in the tightening of his eyes as his mouth thinned in displeasure as well. But for some insane reason, he still didn’t want her dead for her display of misbehavior. “Oh, don’t get too cocky. I’ll have you punished one way or another girl,” the captain said in a voice that promised retribution. Sara settled herself into the dry dirt — more sure now that ever. This was going to be a fight that ended with blood on her hands. Her eyes gleamed in anticipation as she waited for it to begin. Throwing the first punch wasn’t her style, but it seemed that this was the only way she was going to get some justice this afternoon….well, so be it. With a flick of his glance he quickly indicated what he meant. Sara didn’t have to. She knew exactly where Ezekiel was standing. She had kept an eye own him from the moment he walked through the gates. She just hadn’t considered that the captain would be willing to use him as an incentive to keep her in line. As she noted Ezekiel’s new predicament, she grimaced and had to admit she should have. A man willing to sacrifice his own to get to his destination a few days ahead of schedule was willing to do a lot of things she wouldn’t. As for Ezekiel, he stood calmly held by the muscle-bound idiots that stood snugly at his side. An overt threat if she ever saw one. Sara sucked her teeth as she held back a sentence that was likely to get Ezekiel gutted. Sara shifted uneasily on her feet. Those were a lot of words and very little action. Precisely what did he have in mind? “Oh and Fairchild?” the Captain said with a spark in his eyes. Sara raised her chin in acknowledgement, waiting to hear his words. Sara’s jaw froze and she felt her fingers curl into her fists by her side. But she deliberately relaxed her hands and took a quick look around at the overwhelming odds. She couldn’t get to him if she didn’t want to call upon a battle rage and she didn’t. She needed to get past this challenge and onward to even greater misdeeds. Her father’s among them. So Sara Fairchild decided to do something she never did in a fight. She was going to stand down. “Fairchild,” the Captain chided while waiting for her answer. Finally Sara Fairchild gave a tense nod and with a dark smile the captain took a few steps back and Sara was left standing alone in a circle. They weren’t shy. Just wary. So he turned back to a wary and tense Sara. Oh, she knew that something bad was coming. How bad. Well, that depended on how wounded the captain was feeling. He didn’t want to her challenge her to a battle to death, but he wanted her to feel pain. She knew that and pain she would feel. Then he stepped back and the group surrounding Sara alone stepped forward with eager hardness in their eyes. A world of hurt promised in their eyes. Wow….talk about tense. This is going to be a page Turner no doubt. Thanks again Terah for and intriguing and suspenful read. An not wait for the following chapters. Awesome, can’t wait for it. I need to know what happens next.